On the 13th of October, the Floatgen project will reach a new phase. That day is the official completion date of the assembly of the gigantic concrete float in the port basins of Saint-Nazaire. This base, once equipped with its mast and turbine, is to be positioned before the end of the year at the Sem-Rev site, off the coast of Croisic. 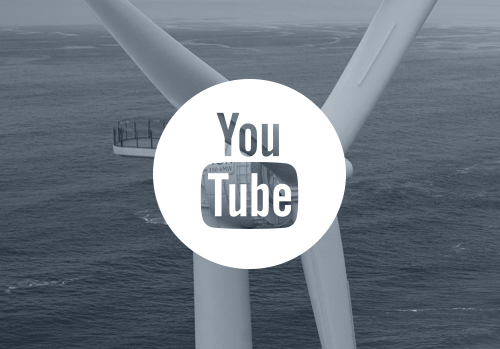 Since the end of August, the foundation for the first French floating sea wind turbine has been in the water. The three barges on which it was built were towed to the immense Joubert lock of the port of Saint-Nazaire, then immersed. The then 4,000 tonne concrete hull (the complete assembly will weigh 5,000 tonnes) was then floated in a perfectly controlled manner. Moored at the Charbonniers dock, work continued to secure the transition piece (steel part at the interface between the floating foundation and the mast), then the wind turbine itself. 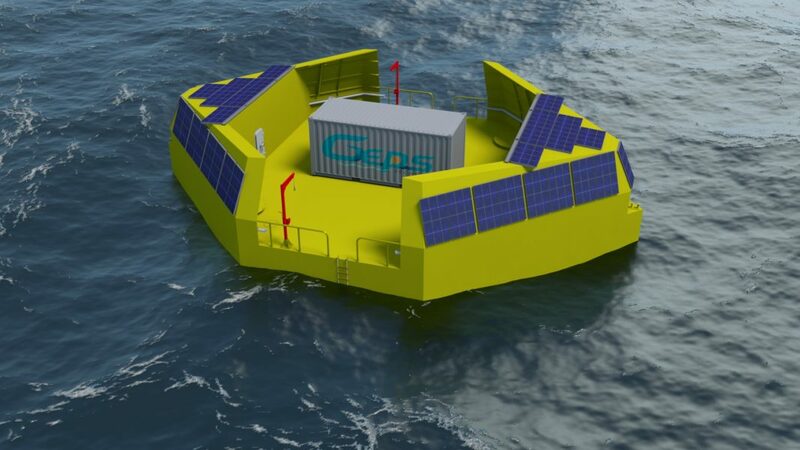 Floatgen, the only project of its kind in France, by the innovative start-up Ideol, Centrale Nantes and Bouygues Travaux Publics, continues full steam ahead. 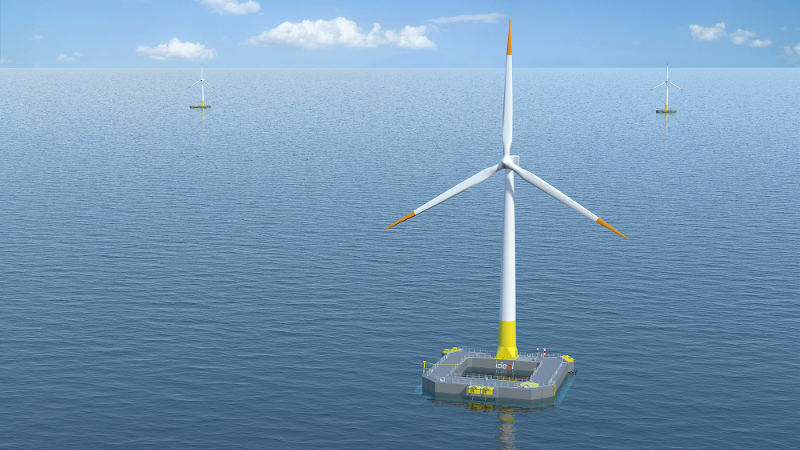 This demonstrator of the emerging floating wind turbines technology, free from attachment to the seabed for use in waters up to a depth of 40 meters is full of potential. The ” damping pool” concept, patented by Idéol – a floating foundation using concrete as the main material – will thus be able to demonstrate its performance in terms of stability and resistance to harsh Atlantic conditions: the system is designed to operate in 15 m waves and force 6 to 8 winds. Once positioned by the end of the year at the Sem-Rev site, 20 km off Croisic, the experimental wind turbine will be ready to start operation to feed the electricity grid on the continent. 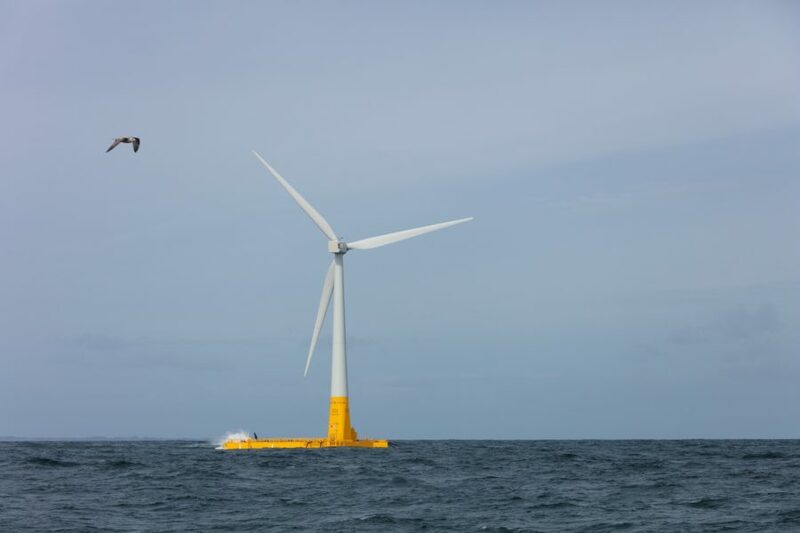 The wind turbine is to be linked by a 23 km cable buried under the sea bed for more than a year. The technological breakthrough that Floatgen represents is particularly well established in the Pays de la Loire, and especially in the Nantes – St Nazaire area. In addition to the 70 people working leading the construction of the floating foundation, in particular to provide the necessary concrete, the project partners chose to make the majority of their component and service orders with operators from the surroundings and the greater west. 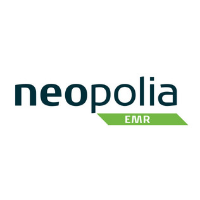 Furthermore, on the R & D side, the strong involvement of Centrale Nantes and its Sem-Rev experimental site in the project will enable the whole of the Pays de Loire MRE sector to take this decisive step.